I'm working on what summer was going to look like for my family, and I am starting to worry about myself. Seriously. 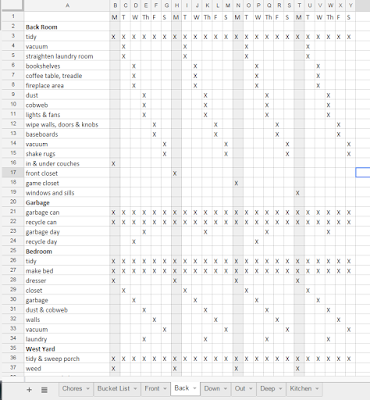 Who makes their kids' summer chore lists in Excel? What a nerd I am. But don't they look all nice and orderly? 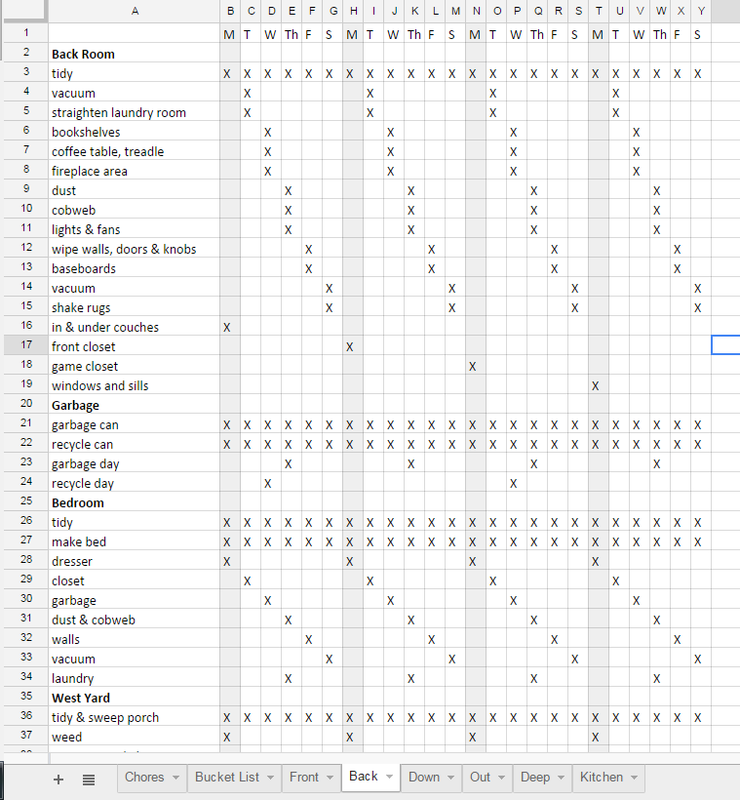 It makes me happy to see the patterns - but mostly to know that I don't have to do all the work this summer. THAT makes me happy. And a little bit OCD. Today I washed a load of towels. The second time, after I had forgotten about it and let it sit in the washing machine overnight. Then, I actually dried those towels, and got another load of towels all the way through. I think I'll let those ones sit in the dryer overnight though, because that's ok.
Today I made four loaves of banana bread. Trent brought a big box full of over-ripe bananas home from the store. They sell a whole box of them for only $4 - if you get there quite early in the morning. So now we have enough to freeze for shakes and we can make banana bread. I would be more excited about the fruit if it wasn't the second box he's brought home in a week. We're plum full of bananas. So the twins and I made sweet banana bread with the yellow fruit that looked most disgusting black ready for banana bread. I was planning to make banana muffins too, but I ran out of flour. I went into the laundry room/pantry/craft space/furnace room/storage area where we keep the wheat grinder. I filled it up with wheat and turned it on to "jet takeoff." I'm glad I can walk out of there and close the door - that wheat mill is so noisy! I walked back in to check on it a few minutes later, only to find that I had not pushed in the lower bowl all the way. Ai, ai ai! The whole room looked like a scene from a bad Christmas movie! Every visible surface was coated with white, powdery flour. Clouds of flour were pouring out of the machine, creating a mystic flour fog that added to the ambiance. Why didn't I take a picture? I was too busy trying to find the mill to turn it off. I spent the next long while cleaning up endless dusty messes. Today I swept the floor in the laundry room - several times. And then I decided that since I had to deep clean in there anyway, I might as well drag the compound miter saw in there and cut some wood for a project I've been wanting to do. And then I swept the floor again. Today I went to the temple and breathed clean, white temple air. 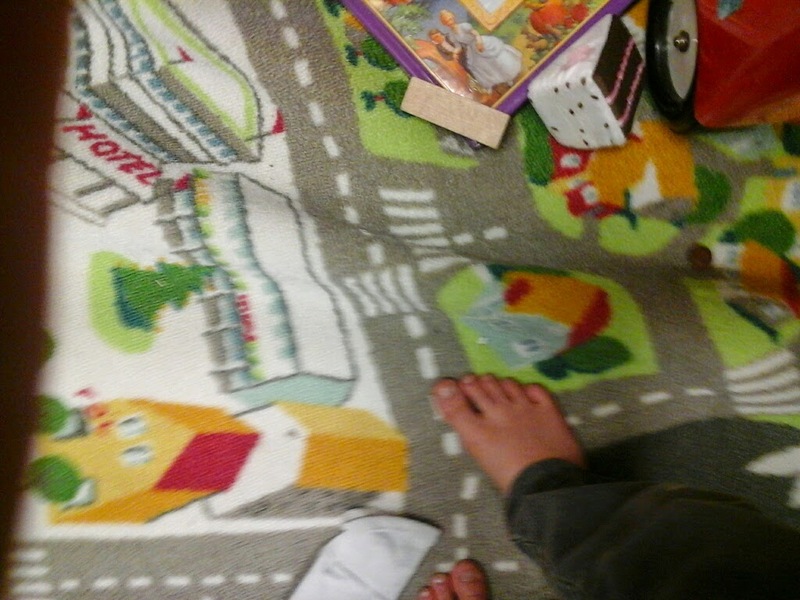 It was glorious to just sit there and look at the very light carpet that I didn't have to worry about keeping clean. I loved letting my soul breathe and be filled. Today I drove with my neighbor's daughter who is learning how to drive. I was not traumatized. My friend insisted that I sit in the front seat, so she could sit in the back and play solitaire and not watch the driving. She must play solitaire in a more gripping manner than I am used to, since she kept shrieking and gasping. I think the daughter is coming along nicely, but I am concerned about the health of her mother. I hope her blood pressure normalizes soon. 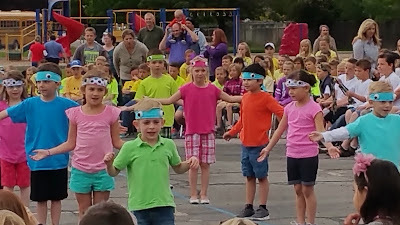 Today I walked my daughter to kindergarten for the last time. The next time we go to school together, she will be a first grader. Holy time warp, Batman! I stopped at the front corner of the school, gave her a quick hug and told her to have a great day, and she skipped happily away. She's come a long way since she clung to my arm and leg and insisted that I stay in line with her until her teacher came to collect her class. I felt a little melancholy watching her go. Today I sigh and miss my babies just a little bit. How fast they grow! What a blessing I have to be part of this wondrous life. The kids are watching Forever Strong right now, one of our family favorites. We all like it. It has a strong sports background going on, and a nice redemption theme. It's a good one we can watch with the family (after the first few drug/party/DUI crash scenes where it likely got its PG13 rating). So why am I not in there watching it? I was, sitting on the couch, snuggled up to three of four of my kids the best I can while we are eating pizza and watermelon. But a minute ago, I had to leave. I can't deal with the suspense. I know what is going to happen - or at least generally, because its been a while since I saw the movie - but as soon as the background music gets all dark and dramatic, I'm outta there. 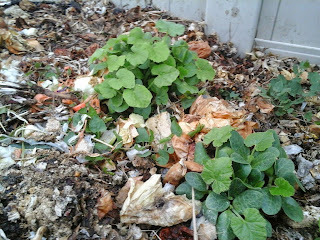 I get all shaky and anxious and decide that NOW would be a great time to take out the garbage! Move the laundry along! Do the dishes! Anything but stay in front of the TV with all that drama going on. And it isn't so much the action (although violence is particularly unnerving for me) as the music. I've always been really sensitive to music and the way it makes me feel. Honestly, I'm a little bit resentful at music that forces me to feel something that I don't want to feel. It's a personal problem, I know. Maybe I need a pair of noise-cancelling earphones that I can slap on whenever that moody music comes on. Or my own little recording of circus music to replace the movie soundtrack. I bet even Lord of the Rings battle scenes would be downright enjoyable if set to some lively tunes. The only way I can get through them right now is to imagine what the people in the sound lab had to do to make all the sword and whistling arrow sound effects, and how interesting it would be to have to make all those cries and groans in front of a microphone. Yeah, LOTR with circus music. I'll have to try it sometime. Trent showed me this article the other day, and wanted to discuss it with me. My first reaction, since I was in the middle of something else (probably something of great urgency and importance, like reading the news), went like this, "Yeah, honey, I read that one several weeks ago." But then as I paused and re-thought my initial comment, and remembered what the article was about, I had to stop and turn toward him and listen. The article, "Science Says Lasting Relationships Come Down To 2 Basic Traits," talked about the two things that all successful relationships have in common. I boil the paragraphs and paragraphs of research and testing and analysis down to this: relaxing with each other, and responding in a loving way. The relaxing part seems pretty straightforward, except that you have to be relaxed and feel loving on a physiological level, not just acting chill or being lazy. You have to be, deep down, at peace with your relationship. And the loving responses result from how you react - whether you turn toward them or away from them - when your partner makes a bid for your attention. Like, "Hey, look at this interesting article I just read." Oops. I turned away by downplaying the reading and making it look like what I was doing was more important to me than listening to him. I repent. And I will try to be more mindful in my responses, and make my heart more soft, loving, and at peace with my life. Because this: I love my man, and I'm gonna keep him. There is a tradition in Madagascar of cracking eggs over a person's head and then dousing them with flour to celebrate their birthday. It sounds like an awful mess to me, but traditions don't always have to make sense, do they? I did a quick researching of the birthday eggs and flour, and I mostly came up with missionary stories, so I'm guessing that it might be more of a missionary-in-Madagascar tradition rather than a true Malagasy thing. No, now I'm finding a few videos of Malagasies making a mess of each other, and a report that it comes from a French tradition. Also, it's big in Indonesia, where they tie up the person before doing the eggs and flour thing. Nice. Hope he doesn't bring this tradition back home with him! Oh, and in other news, pianos are really heavy! I think that President Ucthdorf said it best when he said, "Lift where you stand". When you follow that council, everything works, and on top of that, it is really easy to move a piano. Winter is starting to come here! It is starting to get really cold. I love the cold, but my companions are struggling with it a little bit. But whatever, I love it. I hope everything goes well, and that everybody will enjoy this time of the year. So... You might be wondering about how the eggs went down last week on my birthday. Good news is: I avoided it. 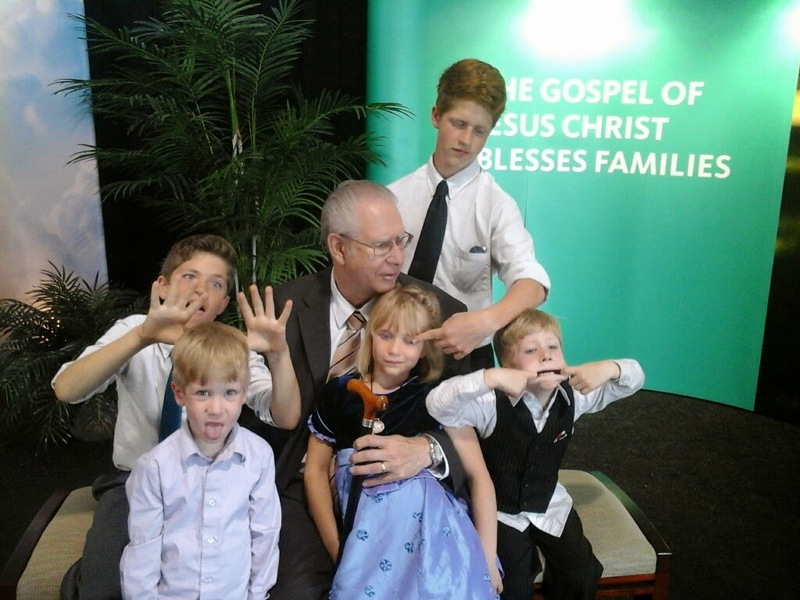 See, what happened is Elder Cooley bought some eggs and hid them on the bookshelf right by the door so he could egg me as soon as he got home at night, but, when we came home I saw them and hid them somewhere else. Then... it just didn't happen, which is all good with me! Then we had some great cakes made by members, pictures should be included down below. The chocolate one had ice cream inside... They are both, of course, gone now. This week has been lots of fun though! We went on splits with the AP's and we got a lot of work done. It was super satisfying! Some of the highlights included going to the first marriage I've been to here in Madagascar! 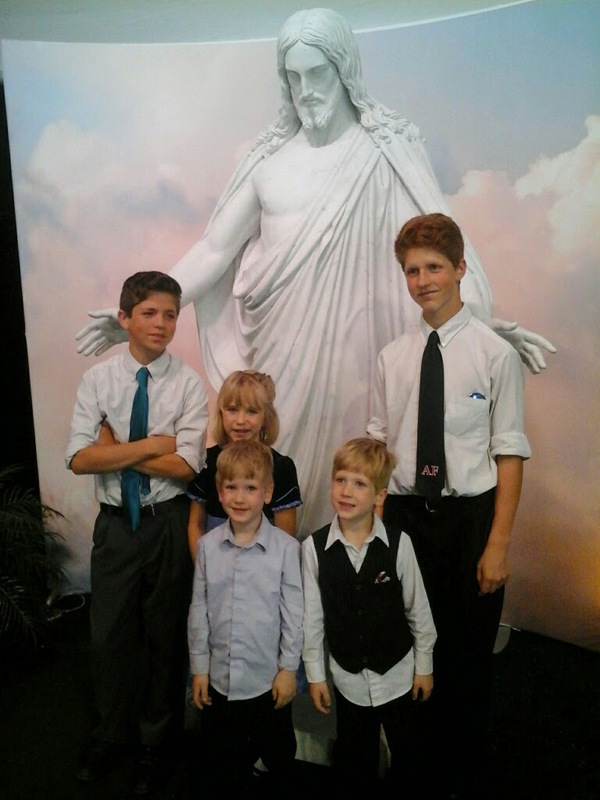 It was way fun to see, and they're heading to the temple in South Africa this week! Then we also just got to a bunch of really cool investigators and less actives this week! Sorry for all of you wanting crazy stories about weird animals or things like that, but the work is honestly the best part! Then it was especially fun to see some members getting ready to go to the temple, that was probably one of the most rewarding parts. I love seeing the church progress out here! 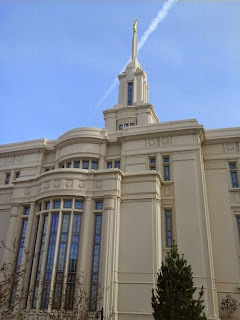 This beautiful building was just finished, and we got tickets to go tour it. What a beautiful place! It was full of peace and made my heart happy. If you are wondering why we build temples, you can read more about it here. One of the best things about temples is that we can have our families sealed together forever. I love that idea. My heart is so full of love for my family and I can't ever imagine not having them as mine. At the end, I wanted to take a happy family picture. Sealed together or not sometimes we just don't have happy family to take a picture of. I think our active small fry just make Opa crazy sometimes. I think I am a little crazy sometimes! Yup, we're all a little crazy. And I love 'em! This is how I can tell that the end of the school year is upon us. 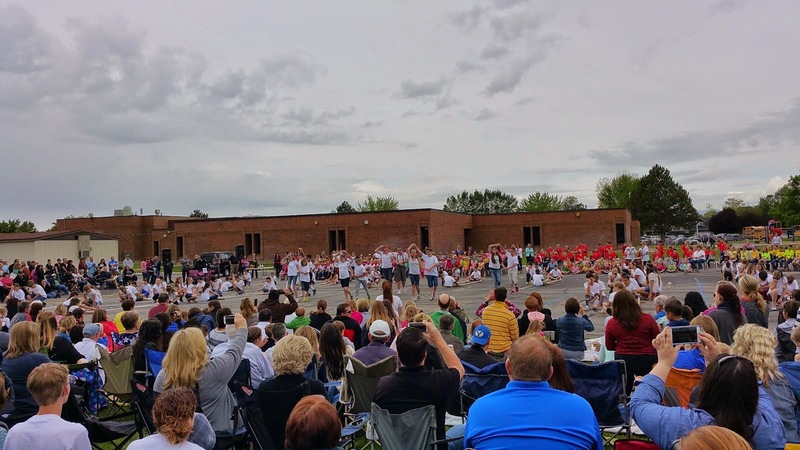 It's time for the annual elementary dance festival. This year, Eddie is in 6th grade and Angel is in kindergarten, so we got to watch both of them - and a whole bunch more of cute kid antics. At the last minute, my dad decided to come with us, so we got lawnchairs out instead of sitting on the lawn. The weather was perfect - nearly threatening to rain without actually wetting on us. Usually it is blisteringly hot at this time of year, so the cool was a welcome change. Georgie and Freddie loved watching the kids dance, and sat remarkably still for most of the performance. This is the traditional dance of the 6th graders, and they have been doing it for as long as I can remember. They were doing it when Alec was here in 6th grade, and Ben, Chris, and David have all done the same dance... and I did a form of it when I was there, too. Only we used stretchy bungee cord things - like giant elastics - and they use pvc pipes that they hit on the boards to keep the rhythm. Eddie was grinning big, and had a great time. Angel, here in the bright pink, was so hopping up and down excited to do her fishy dance with her fishy headband with fish eyeballs on it! And then when she went out to dance, she was concentrating so much that she never cracked a smile at all. 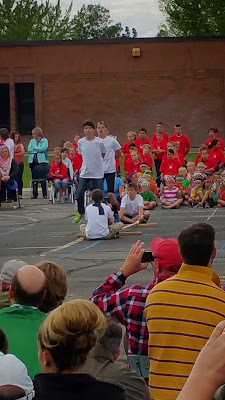 These two grades were first and second, and it was fun to watch the rest of the dances after that without having to try and crane to find my own child or get a reasonable picture. 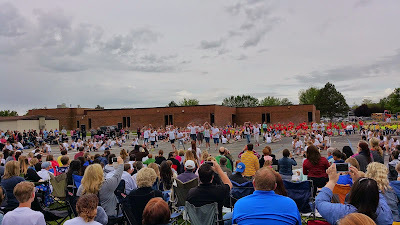 The last dance was either the third or fifth graders, and they danced to Pharrell's song "Happy." Oh, it was so cute! I was actually sitting there with tears running down my cheeks, thinking about how happy these children are. This is the best time of their lives, and I so hope and pray that it only gets better from here. There is so much love and potential in a child. How sappy I am. 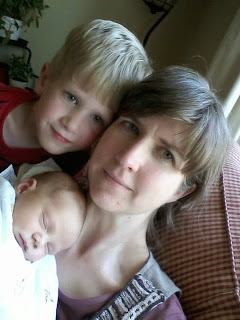 But happy and proud to be a mother, to be entrusted with the care and happiness of such wonderful little people. Dance on! I've been sick again. I just can't seem to hold on to my health these days. 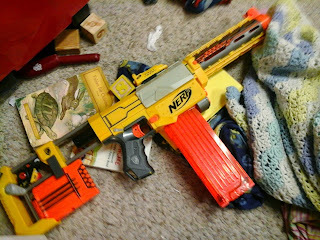 This time, it was some sort of stomach flu that hit me right in the guts. Let's just say that the things I ate gave me stomach aches and always wanted to leave in a hurry, and leave it at that, shall we? In a last-ditch effort to regain my health (and become a less-frequent bathroom visitor), I made a drastic change in my diet. 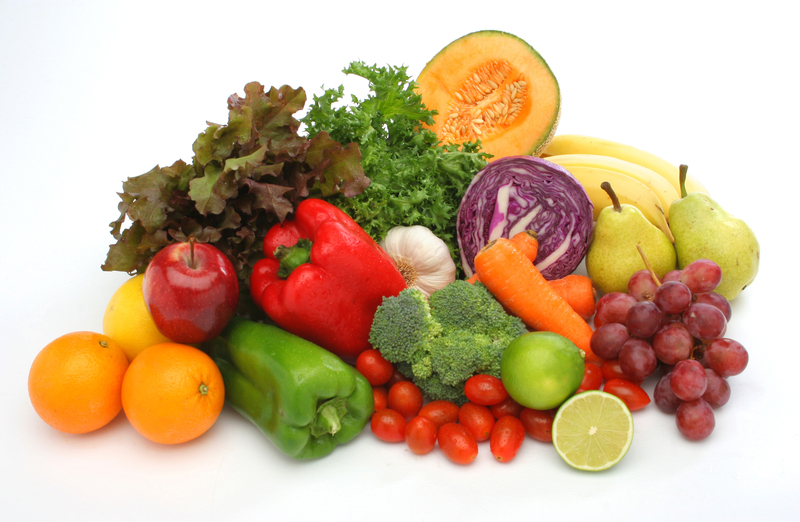 I decided to only eat fruits and vegetables, since those were the only things that didn't hurt. I've stayed mostly good about this for three weeks, and my guts are feeling much better. Trent and I watched Fat, Sick, and Nearly Dead during this time, and he was converted to eating a cleaner diet. He has joined me for the last week or so, and it has been interesting to see the results. Together, we have lost nearly 10 pounds. I know most of that is water, and much of it will come back, but for a few minutes, it is a nice feeling! My mouth does not crave the sugary, carbohydrate-laden food it used to. That is a good thing, since I usually have pretty wild cravings. Our taste-buds are getting retrained to really like simple fruits and veggies. I really like eating a green pepper, or a spear of pineapple, or a crunchy apple. I snack on carrots - and feel like Bugs Bunny - while I make dinner. My face didn't break out this week like it usually does at this time of the month. What's not to like about that? I feel healthier, and my guts don't hurt! I am glad that we've been able to make some good choices in taking better care of our bodies. Now, the bad parts. Did you think there weren't any? After the first week, when I felt so much better, I've had no energy. After talking with a nutritionally-smart friend of mine, I added beans and lentils back in, and I feel a bit more energetic. I think some of my weight loss was muscle because I definitely felt weaker. Eating fresh foods is kind of boring. It wasn't so bad for me, because I'd eat an apple and two carrots and a green pepper and a handful of spinach and half a tomato while I was fixing dinner. By the time everyone else sat down to eat the pasta that I couldn't eat, I was satisfied. Trent, on the other hand, wants to eat a real meal... and I don't have a large repertoire of fresh-food meals. We ate a lot of salads and lettuce wraps. Then we remembered spaghetti squash and cauliflower rice, but it still not as flavorful as what the rest of the family was eating. I feel like I'm feeding my body, but not... eating. I don't like cooking two different dinners for each meal. No thank you. It's expensive. Not gonna lie on this one - we went through veggies like crazy! Spaghetti squash is quite a bit more expensive than pasta, and salad is more spendy than bread. If it was just one or two people, I think we could hack it financially. But moving the whole family to whole foods would not be cheap. It takes a while to adjust. At first, Trent didn't get satisfied. He'd eat three giant bowls of salad and groan, "I've never been so full and so hungry at the same time!" It took him nearly a week to adjust to not having that heavy-stomach feeling. I have to admit that I binged a little tonight when I made cinnamon rolls. For the kids! I made them for the kids! I was not supposed to eat them. And now I have a stomach ache. Tomorrow, I'll eat well again. After I feed the rest of the cinnamon rolls to the kids so I won't be tempted again. Don't do that again! Well, this past week has been a really crappy week. Throughout the week, about two thirds of our appointments dropped. And it was really frustrating to see... It was bad... As we were looking back at our week, we realized what had happened. Elder Castro's talk was on Understanding Adversity and Trials. Trial, yes. Adversity, yes. I think it is safe to say that we now have a better understanding of adversities and trials. 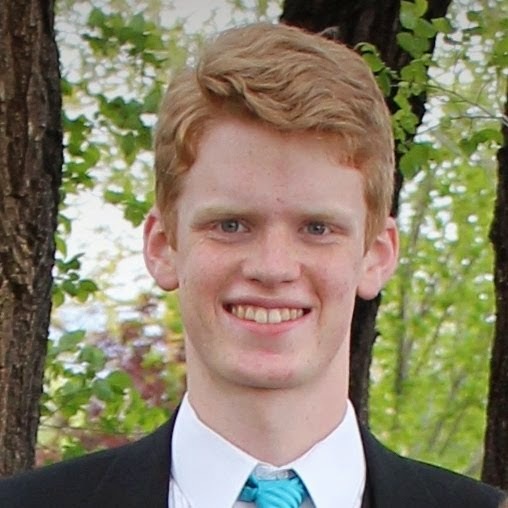 The Mormon message "Civility Experiment" is really different when you watch it with people here. So thanks for the birthday wishes. They were very nice. It was also way nice to get my birthday package... wait for it... on my birthday! How nice! So thanks everybody! Now I'm just waiting to have an egg cracked on my head and then be covered in flour. I'm not a big fan of that particular tradition, but it's still Madagascar, so it's all good! Oh, and then yesterday we made Cafe Rio salad for dinner! It was way good! And it was also very filling, which just made it even better! For those of you who are thinking, "Wow. I didn't know there was Cafe Rio in Madagascar..." OF COURSE THERE'S NOT! We just made it on our own. From scratch. And when I say "we" I mean Elder Johnson because he's a saint and a way good cook. But that was way way way way good. Well, the garden is mostly planted. We got some logs from a tree up the street that was getting a trim and hauled them here. I like the rough, uneven border they give to our garden - our gardens are usually a little rough and uneven. But not this year, I proclaim! This year we will have a lush, productive garden that abundantly produces delicious and healthy food! 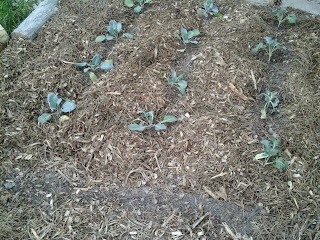 We have peas and beans, beets and radishes, spinach and swiss chard seeds in the ground. They are just itching to pop up and grow like gangbusters. 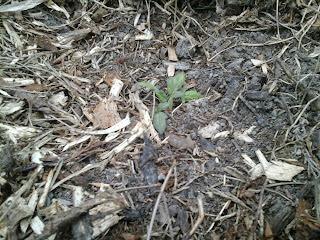 Yes, I know it is technically too late for these, but they are in a partly shady spot so I hope they will grow anyway. 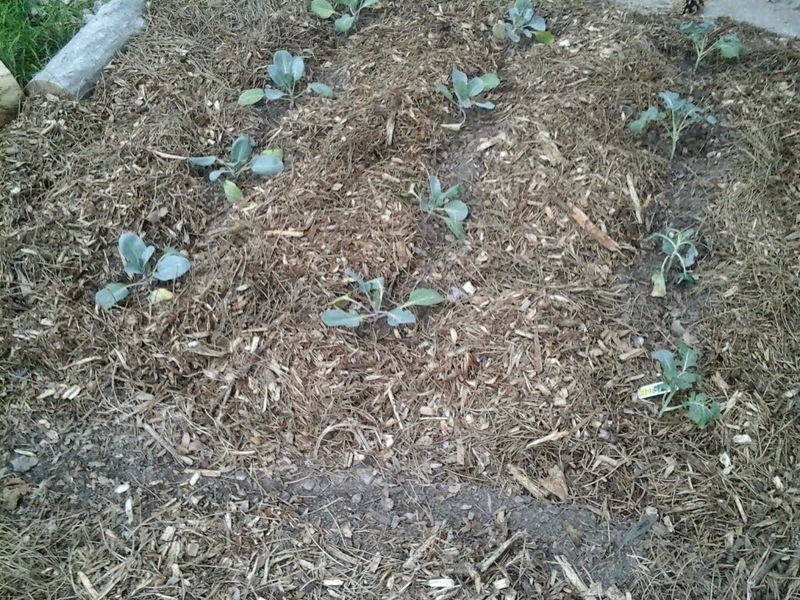 (fingers crossed) We've transplanted the broccoli, cabbage, and cauliflower seedlings close to the shady area, and the tomato and pepper plants in the full sun. They will love it. Because I said so. 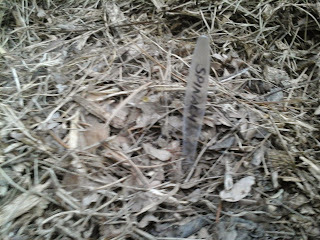 And I even cleverly labelled all the rows with plastic knife markers so I wouldn't forget what I had planted where. Note to self: the plastic knives plunge into the dirt really well, but next time, use white plastic knives so you can actually see them. Maybe then you won't step on them with bare feet. 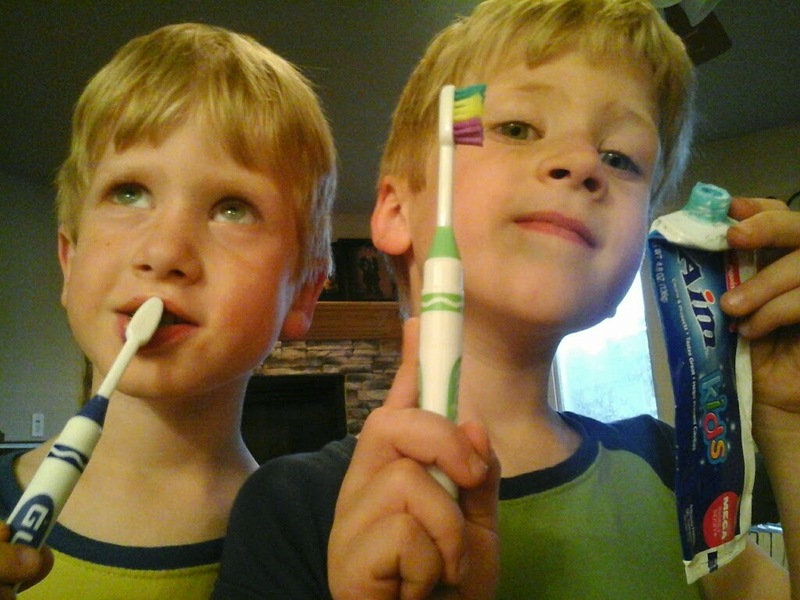 I have toothpaste power, because that's what my twins tell me. At the end of the day, they get in their pajamas and brush their teeth. 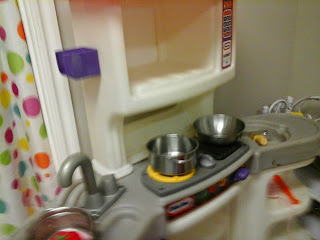 I love that they can take care of these chores by themselves! They are good toothbrushers, even if there are a few glitches. After a while (like two days or less), the cap of the new toothpaste tube gets lost. Never fails. So the threads get a little sticky, and gummy, and finally crusty. It's hard for the twins to squeeze toothpaste through the crust, and they run to me for help. "Mom! Can you do Toothpaste Power?" And I summon my super mother powers and help the poor children with dirty teeth. Toothpaste Power is especially needed when they reach the end of the tube. Getting that last bit out is a challenge for my little people. Getting the last week's worth of toothpaste out of the tube is a challenge. So why don't we use a toothpaste pump or something easier? 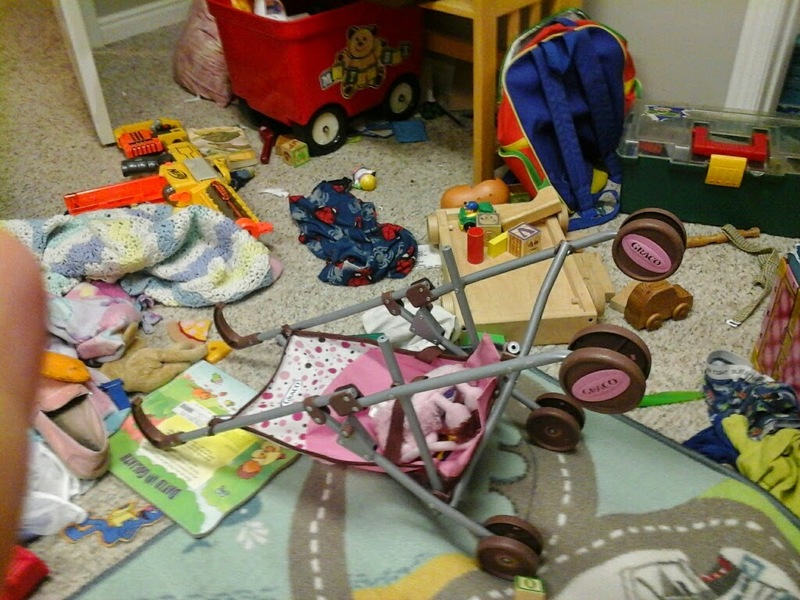 For the sake of the mess, I don't mind it being a little bit difficult for them. And I like them to think I am awesome and have Toothpaste Power! For a few months now, we have been nourishing and watering and watching over a little table full of seed pots. We waited in the hopes that these little seeds would grow into plants that would feed our family. And garden-fresh produce is the best! 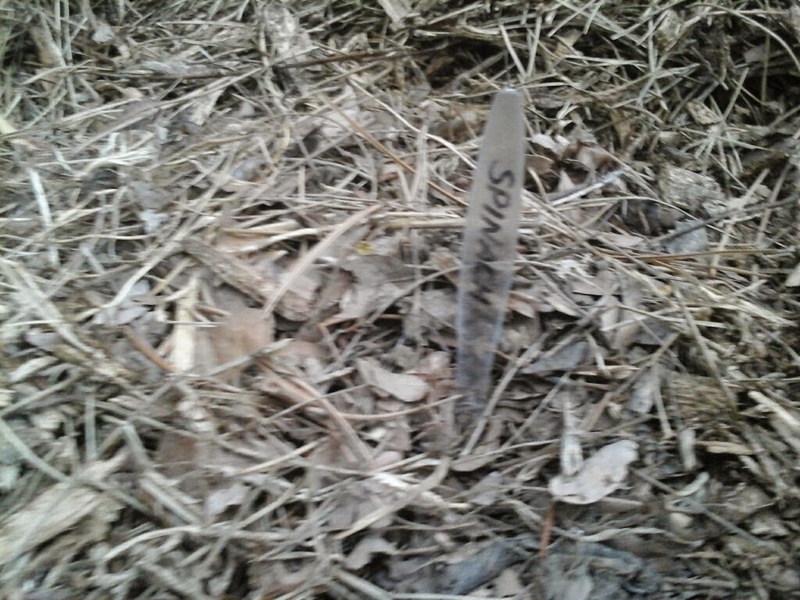 But our little plants sprouted slowly. In spite of the fact that we kept them next to a south-facing window, they grew slowly. Finally, they had two sets of real leaves. We brought them outside in a partially shady spot for a few days to get used to direct sunshine, and we remembered to water them. Mostly. The weather is nice this week - cool and rainy - perfect for transplanting! 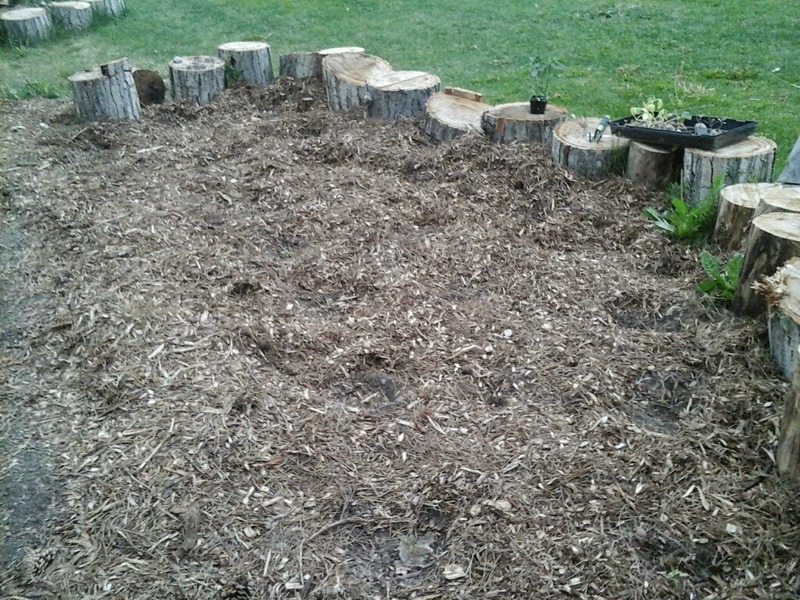 We took our precious tiny seedlings into the garden that we had tilled and raked and weeded. 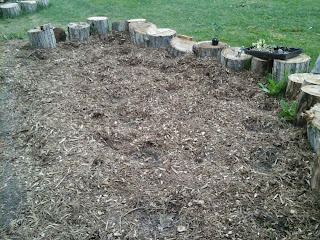 Carefully, we dug little holes to plant them in, and mulched about them to hold in the moisture and keep out the weeds. So much work for little bitty plants! 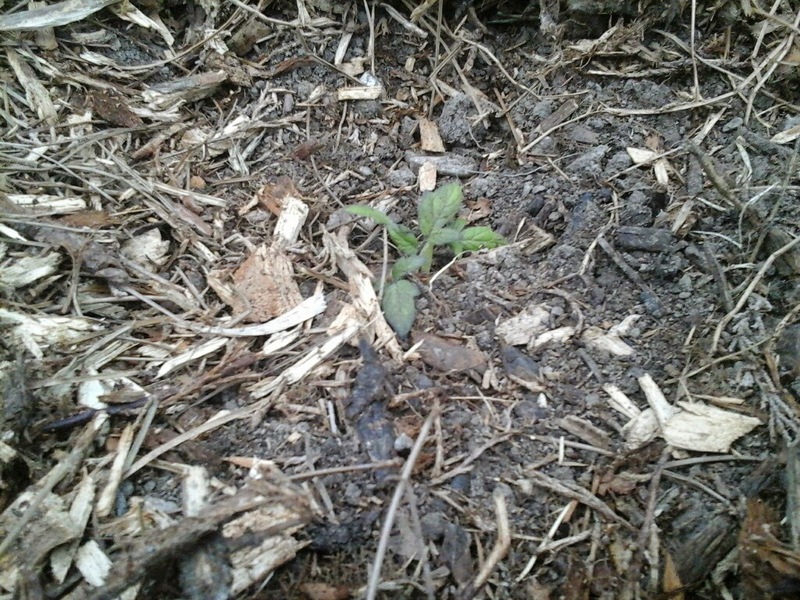 As I was going back into the house, I glanced at our compost pile, and saw these seedlings. We had cantaloupe not too long ago, and threw the seeds and rinds into the compost pile with all our other kitchen scraps. Without love or watching or watering or any help at all from us, they just grew themselves. Ta da! Wish I could figure out how to get the other seeds to do that. My twins are 5! Holy time warp, Batman! Georgie on the left, and Freddie on the right. They look so different to me, but they are identical. 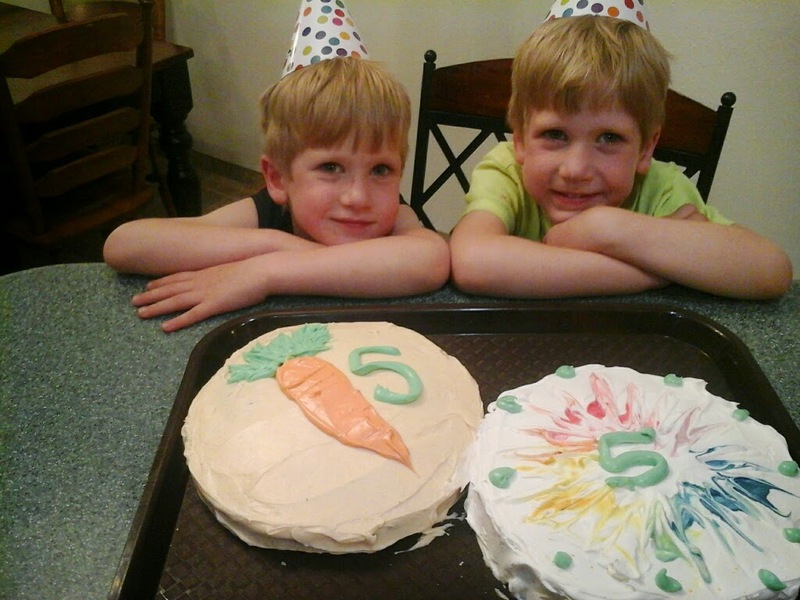 I asked them what they wanted for their birthday cake - it's the tradition that they get to pick. Georgie has been eyeing the cakes in the bakery for some time now, and he wanted the cake with the carrot on it. Didn't care about the cake; he just wanted the frosting carrot on top. Freddy wanted strawberry cake because right now he loves pink. Now blue. Now pink. There were pink cake mixes at the store and no blue ones, so we went with strawberry. So far I've had one cake for the two of them, but I don't mind each of them having their own cake. I thought that was only fair. It was funny that when they noticed they had picked different kinds of cake, they kept trying to change their choice to match what the other had chosen. They love being together! Georgie's frosting was a no-brainer: carrot cake needs cream cheese frosting. The strawberry cake got whipped cream with a colorful starburst. It was fun to make the cakes (especially when David doubted that I could frost a cake reasonably well, and was so astounded that it actually turned out cool. I enjoyed that compliment. ), and delightful to see their faces light up with excitement. Blowing out the candles is fun, and they helped each other. Georgie also managed to blow spit all over one side of his cake. Who came up with this tradition? 1. He has a zest for life. Everything he does in done in a big way. 2. He always hugs me to make sure I know he really loves me after he "kills" me with his pretend light saber. 3. He loves to snuggle with Mom - for a moment. Or longer if he has cold feet. 4. He is a good eater. I don't usually have to remind him twice to finish his dinner. 5. He is happy with his whole body. No hiding his joy! 1. He cartwheels his arms (for speed in taking off?) like a swimmer when he starts running. 2. He is sneaky. He has a good plan and then quietly goes about accomplishing his goal. 3. He loves to snuggle with Mom. I love that. 4. He is quick to take care of his chores and tasks I ask him to do. 5. His little grin just melts my heart. I got a phone call from a friend recently. She just had a baby but needed to go to a class with her kindergartner - where babies are not allowed. Could I babysit? Watch a two-week old baby? Yes. And yes. I am not an "Awww! Sweet widdow baby! Can I hold your precious bundle please?" kind of person. I do not have baby envy or need baby fixes. I like your baby - but I love mine. You take care of your babies and I'll take care of mine. But a new tiny baby? That's slightly different. I babysat for my friend, because that's what friends do. And I sat for an hour, holding a fresh little slice of Heaven. It was wonderful. When my babies were this little, I was still healing. My body was beginning to come to grips with the fact that it needed to shunt resources from growing a baby to feeding a baby. I was sleep-deprived. I was fumbly-bumbly anxious to not drop anyone on their head. 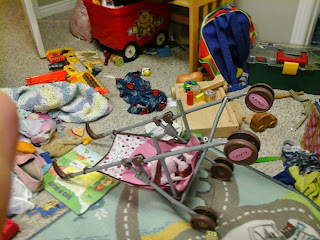 I was a crazy mother, trying to take care of a newborn and my other children and my husband and the laundry and a million household messes that pile up those last few weeks of pregnancy. I seriously think I can (and should) do all of that. And I sometimes forget to just sit and snuggle the new baby. So yes, I'll watch your new baby. And I'll rearrange my schedule so that I can hold still and enjoy the freshness of your little bundle of joy. Because I know that the laundry can wait and dinner can wait and the messes will wait. They will still be there when the baby goes back home with her mama. And my day will be a little bit brighter for holding still for a moment. Due to the time differences, we had to set up the call for 6 AM Sunday morning. I might have wondered about the sanity of that schedule a few times during the week. They are worth it, missed beauty sleep and all. Loved seeing these happy faces! It was nice to have my family together for a little while. And I loved listening to the two of them tease each other. Happy day! Also, church on Sunday was amazing! It was really full. We had over 130 people there and it was amazing to see all the people that decided to come for mothers day. Also this week, we had another crazy week and it was busy as could be. I love being a missionary here and getting the chance that I have right now to work with the people that are around us, and also my companions! They are awesome, that is all I have to say. Read (the Book of Mormon). It changes lives, and there really is nothing better that seeing somebody light up about what they read, and how they have seen it bless their life. It is such a simple thing, but it has Eternal Consequences. Heavenly Father blesses us not for how much we read, but the simple fact that we did read, and that we made the effort to read. I love it and it is amazing. The Book of Mormon has definitely changed me and my life, and I have seen it change so many other people's lives. So let it change yours! Skyping was way good! I loved every minute of it and had a blast! I did notice that of all of my brothers who promised to email me, none of them did... But I'm sure they still love me... But really, it was way good to see everybody! Go family!!! I'm not going to lie, one of my favorite feelings in the world comes from coming in to a time and asking how their Book of Mormon reading has been going, and they brighten up and start sharing what they read and how they felt. It just gives me the best feeling because they're building a very strong foundation. The Book of Mormon is irreplaceable in missionary work. It is irreplaceable in our own conversions, and it is irreplaceable in God's work here on the earth. So read it. You'll see that it's good. And if it's been a while since you've read it, or if you've forgotten its goodness, now is a good time to discover it again. 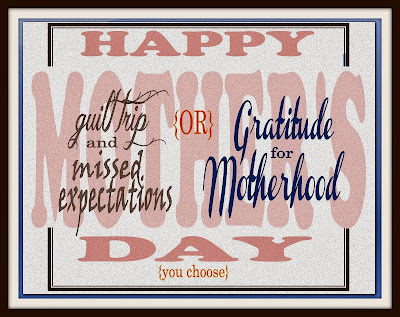 This Mother's Day weekend, I am so thankful that there ARE such wonderful things as mothers. I'm lucky to have had the best mom ever. She was just what I needed to make me grow how I needed to. I wish I could give her a big hug today, and tell her how much I love her. I'll have to settle for asking the Lord to relay my message of love, and putting soggy flowers on her grave in the rain. I'm lucky to be a mother. I never would have guessed that having all these little ones and big ones and medium ones would fill my heart up with so much love and joy. Sometimes when I've been wiping too many noses and bottoms, I just want to hear a little bit of thanks. When I've had too many late nights with my teens, with middle of the night bad dream comforting, and early morning emergency homework, I want to have a break. I worry. I plan. I cry. I ache. And at the same time, I love like I never knew was possible. My heart is so full. This Mother's Day, I'm not going to fret that I've missed my day at the spa... again... because I'll be too busy getting hugs and kindergarten drawings. I'm not going to complain that I have to drag myself out of bed at an unearthly hour because I'll be too busy happily talking to my missionaries. I'm not going to sit and mope about all the opportunities I've missed because I'll be too busy loving other good mothers at our family dinner. 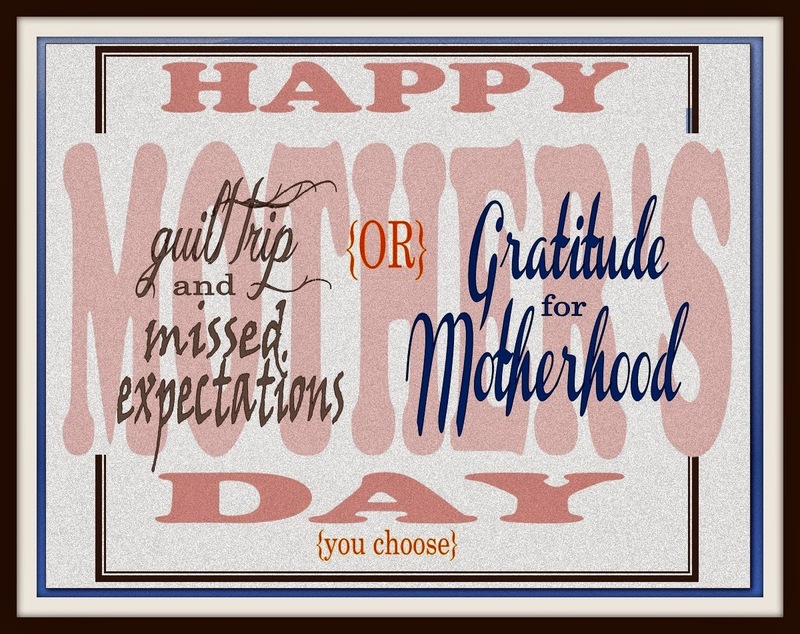 I choose not to be sad or depressed because I'm going to choose to count my blessings that I get to be a mother. I'm grateful for families, with all their warts and wrinkles, and for good women who have loved and nurtured me. Thanks, Lord, for giving us mothers! When I am sick, my house is sick, too. I always hope that everyone will stop and notice how much I normally do, gush over me in appreciation while they step up and clean up the house, do the laundry, make dinner, and rub my feet. Um, I get a little delirious when I am sick. I was laying on the couch, listening to my heart pound in my sinuses and my ears ring without a hint of harmony, when the twins thundered up to me. "Can we watcha movie, Mom, canwe, huh?" Yes, please, if you will do it very quietly! But in order to maintain my mean mother reputation, I had to weakly insist that they cleaned their room first. They crashed down their stairs and I was left to moan in peace for a while. A short time later, they tumbled back in and sheepishly claimed the work was done. I didn't believe them, so I sent Freddy down with my tablet to take pictures of what their room looked like. Nerf gun wars, stroller accidents, dirty pans on the stove... man, I love those little feet on the rug! What do you think? Should I let them watch a movie? It's the end of the school year, and that means we get all the last concerts. 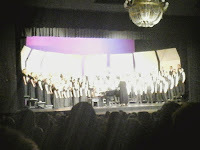 Chris and David both had choir concerts this week - of course I went! Oh yeah, I was sicker than a dog and spent the day trying to merge with the couch. Being horizontal was lovely. The only thing that would ever get me out of my comfy little nest is needing to support my kids. They mean the world to me. I'm so glad I went. David is on the third row down, left side, in the left picture. Chris is on the top row, second head-dot from the right. What? You can't see them? Don't you love these in-the-dark pictures? You really can't see anything in them, and yet I always see dozens of parents holding up their phones, straining to get a blurry, washed-out shot of their kid. It's because we love them and are so dang proud of them! 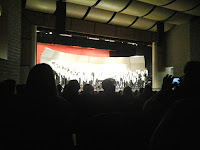 As I was looking at my bad choir concert shots, it occurred to me that life is like this sometimes. We go to an event mechanically, out of duty, and in the middle of the dark it gets all liht and blurry. I enjoy the music and have a wonderful time, but my memory is a little bit washed out about the pariculars. I have gotten good shots of a dark concert before, when I bring my good camera, adjust the settings just right, and crawl up closer to the stage to get an unobstructed view. Last year, I got some really good pictures of Ben singing in his boy band, Lads in Plaid that way. And I remember some very cool pictures of Alec in his senior ballroom dance concert. But when I am focusing on getting the good shot, I miss the concert. My pictures are great but my memories are fuzzy. If I sit back and enjoy the show, then my heart is full and I enjoy the evening - but I only have blurry pictures. It's a decision I have to make every time. And tonight, I filled up my heart with beautiful music and left my photo gallery alone. I think it's better that way. 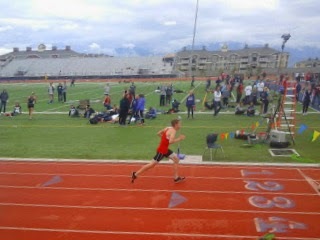 I went to Chris's track meet today. It was a regionals finals, so I was pretty excited to see how he did. The weather was dark and blustery, and it had been raining earlier in the day, so I wasn't quite sure what to expect from the sky. I pulled on a jacket and a large, warm scarf, and brought a thermos full of hot Gatorade. Evidently, the weather was even a bit more sketchy at the track meet, as it has been raining hard and eve hailing before I got there. The stands were dripping, but fortunately the benches were dry. I love watching my kids perform. I love seeing the determination on their faces and the fierceness with which they do their best. I do have to admit, however, that the competition makes me crazy! If our team is behind a few points, my blood pressure starts going wild. As my kids line up on the starting line, my hands get shaky. I love to watch them, but I'm glad when it's over and I can hug them and tell them what a good job they did. Good job, Chris. I love to watch you do your best! Yeah, I know. I went offline for a week. I haven't been feeling well, and something has to go. 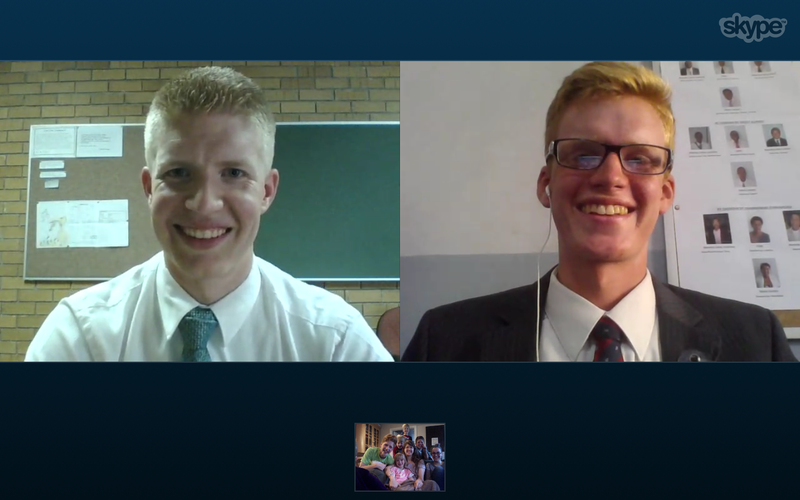 But now it is only one week from when I get to skype with my missionary boys! I'm pretty excited about it. Gotta take care of myself and get all better this week, and get lots of sleep so I don't conk out during their call. Oh yeah, due to the time differences, they will have to call at 6:00 IN THE MORNING. I love these boys so much that it is worth it to talk to them at any hour. Well, this week has been a HUGE transition for me. I'm not used to teaching with three missionaries. I'm only used to having two in a companionship. But it has been good. And the amazing thing is that even though we had to go to Cape Town to pick up Elder Castro, (and that ate a bunch of our Wednesday) we still had a really good week. And the mountain is still on fire, so that is cool, but scary at the same time. And the weather here is changing... it is starting to be winter (well autumn) and that means that it is flu season here. And guess what. We got it early this year. I guess that's what happens when you have two other missionaries around you all the time. But it has been fun, not being sick, but having two companions. We have gotten a lot of work done, and it was cool to see so many people there at church on Sunday. It is really an amazing thing to see the fruits of your week. I love being here and it has been a really spiritual week. 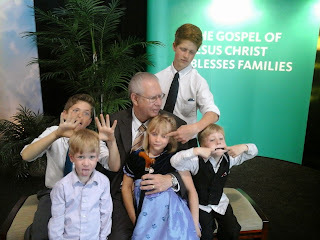 We even had a baptism! Given, it was a child of record, but we had a hand in getting that taken care of. I love being on mission and love having the opportunity or the chance to share the gospel. It really does change lives, including mine. It has been amazing to see how much mission has changed not only those that we teach, but also me. So this week I just want to share a spiritual thought mixed with a Morsel of Malagasy. The word is fahasoavana and it means grace. It comes from a word that means to benefit, and that's exactly what grace is. It's Christ's way of providing a very big benefit to us. I know that Easter time has passed, but it's never too late to celebrate our Savior. He lives, He loves us, and He has given us the way to be exalted and recieve all that our Father hath. THIS IS WAY BIG GUYS!!! I'm so blessed that I get to work out here and be an instrument in the Lord's hands to bring His children into his life! My favorite part of this great work is the love that I'm getting for my brothers and sisters. I find so much satisfaction just in serving my fellow man and my Lord and all I need to feel that is some clothes and some scriptures and a desire to go out and work! It's so simple! I feel so blessed that the Lord has given this great chance to work to a bunch of his young children who are definitely not up to the task on their own, but that doesn't matter, because it's really not our job to get things happening. After all the Lord has said that he will hasten his work in his own time. We just need to show up and be ready to harvest that which he has prepared! What a blessing that is! Especially because I get to help others obtain this gospel gift that has blessed my life so much and given me so much joy and happiness. Our Savior, Jesus Christ, suffered and died for us, and because of that we can dwell in the presence of our Father in celestial glories with our own eternal families! I love my Savior and his work that he has given to me to do! And I love you all too! Have a fantastic week and let your lights shine forth a little more!